Is getting approved with Adsense a big hurdle? You have tried everything to get AdSense approved but no luck? Adsense pays you very low income per month? 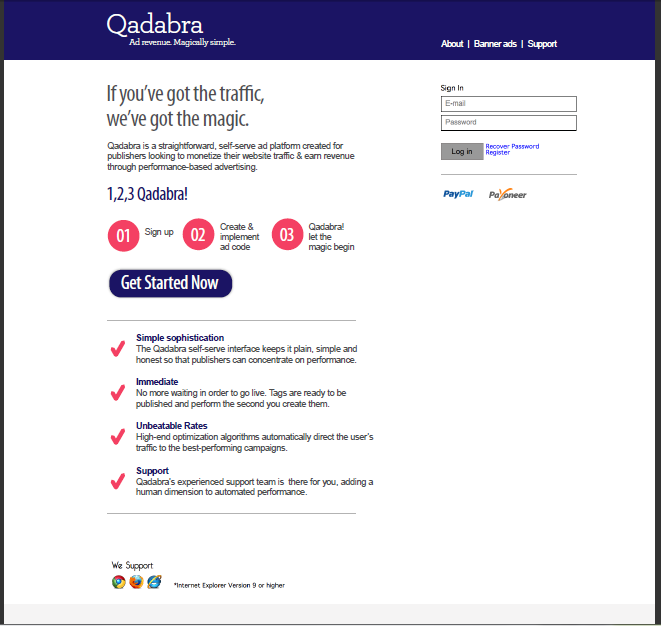 Ads make your website look cluttered and terrible? The reason could be anything. Whatever the case is, now you should have better options to consider. If you are blogging for a while then you must know your audience. This will help to figure out the right way to monetize your blog. You can dig more into these best AdSense alternatives for your blog to make money without AdSense. Affiliate marketing is one of the profitable ways to earn money from blogging. Basically, you promote someone else product over a small commission. It can generate more profit as compared to AdSense. First, you need to sign up for few affiliate programs that are relevant to your niche. You can choose products that you would like to promote to your audience. Once you get approved to be an affiliate of certain program, a special link ‘affiliate link’ will be given to you. When someone click on your affiliate link and make a purchase, you earn a commission. As simple as that. Before doing affiliate marketing, you should pick products that are of high quality. Don’t use products that may tarnish your blog image. Choose products that are relevant to your blog. Try and test the products, if possible. Check their commission rates. Don’t accept any offer that has less than 5% commission rate for affiliates. Always make affiliate disclosure on your blog. Don’t just throw affiliate links everywhere on your blog. Only use when necessary. Want to read further? Check out AdSense vs affiliate marketing detail comparison. A sponsored post is just another kind of blog post on your website. It should have the similar writing style and tone. The difference is that the brand pays the blogger to create a post and publish it. However, sponsored posts can may take many forms. Some companies just want to mention their product once in a post. While other companies want bloggers to write a complete detailed review. Some brands just approach bloggers to publish a pre-written sponsored posts on their blogs for a fixed amount. In some cases, the bloggers don’t have to write the post. They just need to review the post and make little tweaks before publishing the post. Some brands give free products in exchange of a sponsored posts. While most companies pay money. Initially, you have to connect with brands to seek opportunities. You should also set up advertisement page on your blog for companies to contact you. Remember to always mention it somewhere in the post that the following post is sponsored. When applying to above sites, you should have a media kit prepared. It should represent the total number of social media followers, email subscribers, and your blog monthly statistics. Another best alternative to Google Adsense is Media.net. If you got fed up with Adsense, and they don’t approve your blog for their ad network then you should definitely consider Media.net. Due to strict rules and thousands of applicants, it becomes difficult to get approved for Adsense. Media.net is another popular ad network that allows you to display ads on your blog and make money with it. It’s a contextual ad network which shows relevant ads on your blog. For example, if you have a cat blog then the ads will be relevant to your content on the blog. It thus increases the total number of clicks on the ads. It’s just another form of PPC advertisements on your blog. When approved, you will be get paid depending on the quality of traffic, blog niche and total clicks on ads. Paid reviews are somewhat similar to sponsored posts. Bloggers are getting paid for writing a product review on their websites. Companies need bloggers to review their products and recommend it to their followers. Most often, bloggers receive free products from brands in exchange of a detailed review. In other cases, brands pay bloggers for writing a review. Most importantly, you need to mention it clearly in your blog post that it’s a paid review. If you are generally interested in writing paid reviews then you should use the products first. You cannot just recommend a product and write about it on your blog if it’s of poor quality. Because, your readers are at stake and you can’t risk their trust. If you are a lifestyle blogger, you probably get tons of opportunities to make money through writing reviews. Another lucrative way to make extra money from your blog is by offering freelance services. It can be a great way to earn a consistent income. As a blogger, you wear several hats. You got to have writing skills, social media skills, blogging skills etc. You can easily offer part time freelance services from your blog. It’s better to set up a ‘Hire me’ page on your blog. It thus makes things clear for your prospects. Many websites make money by accepting guest posts on their sites. It can be a new way to make few extra money. If you are blogging over a year or so, you might have established a good DA which means that your blog can be an ideal place to land a guest post. Depending on your domain authority, website rankings, audience engagement and overall traffic, you can set rates for accepting paid guest posts. You already know that advertisements on your blog can help you make money. Basically, you can sell ad places on your blog over a fixed monthly rate. The prominent places like header area or the widget area are the ones that get most clicks. So, the companies pay blog owners a fixed rate for displaying their ad over a month. These companies exhibit their products, and tools through ads. Of course, you should make sure whether the ad is relevant or not. You can review the link to which ad is linking to. The idea of creating your own product may scare you for a while but it can be passive income for your blog. The best thing is that you create these products once and you get the sales for a long time. Ebooks can be a wonderful digital product. People love to read ebooks on multiple topics. Whether you are a food blogger, or a motivational coach, you can easily create an ebook and sell it to your readers. Nowadays, online courses are far easier to create. Platforms like Teachable and Udemy are easy to get started. So, you can sell digital and physical products on your blog to make consistent income. Do you provide value to your blog readers? 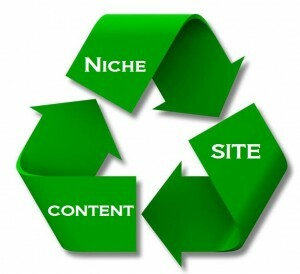 Do you offer strategic advice in your blog niche? Are you an expert in your field ? Whatever be the case – memberships can be another great way to generate money online. Basically, you can offer anything to your audience and get a monthly fee. Many business owners offer webinars, video tutorials, checklists, live Q/A, templates, reports, case studies, products etc. People join membership sites to simplify their lives. It speeds up their learning process. It’s more like a Mastermind group where you need to be available for your audience. It’s a close place for authentic learners who want to learn from you. The idea is to create your outstanding content so that others would find it useful and pay you. Always brainstorm ideas before you build a membership site for your audience. Most importantly, it consumes hard work and commitment from your side. You have to market the membership site and keep it updated every time. Many people create their website for the sole purpose of making money through coaching or consulting. That represents how consulting online can be a possible way to make more money. It may take few months to get your first consulting client but if you market yourself efficiently then chances are very high. Set up a page on your blog. Make it professional. Make it clear what you will offer in the session. Hang out in the social media communities. Give free advice over a subject. Give free 3 consulting opportunities to individuals who seek your advice. Ask for testimonials from those individuals. Reach out to potential clients through emails, messages or social media. Use your blog to send visitors to your consulting service page. Do you still need Adsense to make money? I do believe these ten ways guarantee to make money online. You don’t really need adsense, right? It’s just one common method used by several bloggers. But, if you look at the above-mentioned options, you will find out some other possible opportunities. If you are consistent and ready to do extra effort then making money is totally possible even without Adsense. What other methods you use on your blog? I hate the fact that SU sold itself to MIX which is a very very bad decision & good-for-little website. We can’t rely on Google AdSense anymore as they pay very low to the publishers in the Asian market. Nowadays, it’s hard to earn from the AdSense ads even for the high-traffic blogs. So we should look for other alternatives to monetize web blogs. I appreciate your suggestions & I will share it on my social accounts. Thank you Ammar for sharing valuable content with us. all 10 ways are great to generate money and are the best alternatives of Google Adsense. Affiliate marketing is the best and we can make lot of money if we do it in a proper way.We provide end-to-end IT consulting and application services, with special focus on IBM, Microsoft and Opensource technologies, through an onshore-offshore model. i am running my own blog and doing its SEO from a year but there no result . I want to make money quickly. Can you help me to make money? And which tools should to use? If you follow proper guidelines, you will see the results. You can learn SEO from Neil Patel or Brian Dean websites or find online courses on udemy. It was great experience to visit your post. All tips to earn money are interesting and knowledgeable. I want to ask you about paid reviews. Where can I get paid reviews for my business? Getting approved for new Adsense accounts seems a bit hard these days. Any tips for a new website with 10k visits a month? or any other alternatives like Adsense? You can still apply with 10K visitors per month. Other alternatives are mentioned in the post. Thank you Ammar for sharing valuable content with us. all 10 ways are great to generate money and are the best alternatives of Google Adsense. Affiliate marketing is the best and we can make lot of money if we do it in a proper way. The Article is really very helpful. I am new to this field and recently started my blogging site. You helped me to earn a good amount. Thanks for such a great article. Keep posting. I am familiar with most of them but some are new to me i will definitely try them . thanks for great ideas. Nice article about Google AdSense, Basically some do think making online money with Google AdSense is impossible but your this article about Google AdSense is a complete & wonderful example to know how to make money Without Google AdSense. Hello, This is ashik a Digital Market. I come in your page to learn about make money without google adsense. I think I find out real trusted info form you blog. Actually you are right because when We get ban form adsense than we think we don’t have more way but affiliate marketing help me for extra money from my blog. So I want to declare to audience in your blog to monetized by affliate. Hope they can earn more money. thanks again for you better post. Nice article. Thanks for taking the time and writing this post. I am using Adsense and Amazon associates on my site. Thanks for sharing the extra resources to earn money. Adsense can be a good place to start if you’re a new blogger. But if you can’t get into their program Media.net is great (which you already said). Also, Clickbooth, BlogAds, and Infolinks are suitable for beginners. If you’ve built up a decent amount of traffic, AdThrive and Mediavine are excellent options for ad networks. The key is to diversify your income streams, so if one dries up, you’ll have others to count on. Thank you for sharing your opinion. 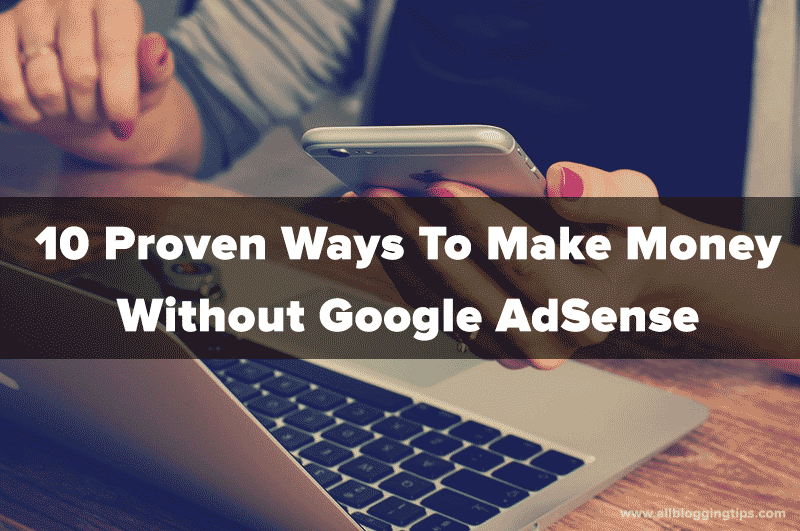 I agree if AdSense isn’t working for you, then there are many alternatives to go with. Those are real solid alternatives to Adsense. It has become critical for publishers to find programs that can help monetize their digital property as well as as Google. It’s never a good strategy to rely on one source of income and the sustainability of the Adsense program for a publisher is far from being guaranteed! I think you can use as much as you want as long as it doesn’t affect user experience. Keep in mind that less is more. Try to keep ads to 3-4 per page..
Hi, very informative post my friend and i am glad to see that there are so many other ways to make money without google adsense and don’t have to wait till you get approved since you can try other things mentioned here to make money , hopefully i would be able to get benefit out of these in future . Its very great article which gives me a new direction. i was reading your article, and it is really great-full. Thanks for giving us this information. But i think affiliate marketing is a great way to making money without use goggle adsense. And it is worked but that information which you give is is very helpful for me. Point 4,5 and 6 is easy, and the 8th one is working for me. But point 1 the Affiliates doesn’t seem to be working for me. Can you suggest me any idea/ideas from can I get authentic affiliate for my store. Google AdSense was one of those ways that I used to earn money in the start but now I am using Amazon and Affiliate and a few other ways to earn my living but no doubt AdSense is the best way for the beginners. Thanks for this detailed alternative list for making money. Excellent tips Ammar, I like almost all of them and I don’t think people should really heavily depend upon AdSense for two main reasons. One is: it gives you peanuts other is: you need to bring a lot of traffic in order to make decent money from it. Here’s where you can go for affiliate marketing where you can make a ton of money even if you’re driving limited amount of traffic. Just make sure you’re generating traffic search engines and attract qualified traffic who are actually looking to buy the products you promote through your blog. For beginners, offering freelancing services like design and writing can be of huge help. It’s also the quickest to make money through your blog. Make sure to create a portfolio page, write some guest posts and you’ll be attracting a lot of clients. If you already have enough blogging experience or expert in your field, you can easily monetize by offering consulting services where you can either provide paid courses or 1 on 1 private mentorship to make money from your target audience. Thanks for the great tips, keep posting more. I read your article, it’s really helpful. I think affiliate marketing is a really good way to make money and writing paid reviews is also a great way. I have already done writing paid reviews once and made really good money. But the sponsored post is new to me, learned a lot. WOW, What an amazing informative article. 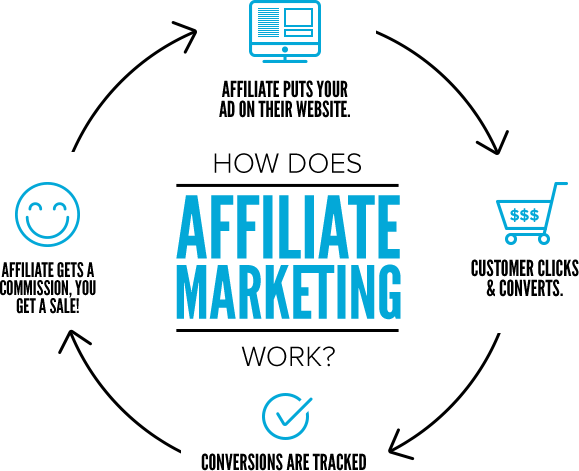 Emphasizing towards ad sense, i would like to concentrate more on ad sense though affiliate marketing still exist in the picture of earning money. But google would like to grace on your effort and make you millions. Your article got me towards right track to focus on. Thank you, for such amazing information. Thank you Ammar for providing such an great information at the starting of my digital marketing career i thought there is only one way to earn online is through by approving google Adsense but after that i started diging other ways to earn online but i not get proper information in other sites .But here i understand every thing properly .once again thank you Ammar for the information. Number 10, the consulting one, is probably the most complicated point to achive with any blog or website. To offer consulting services, you need to be deemed as an expert by your readers, not to mention the fact that you already need to be seen as a guru in your niche in your reader’s eyes. Very informative. Thank you, Ammar Ali! I will try the Viglink because I’m starting a fashion blog. But that’s not why I’m here, I forgot what I searched about actually. Good thing I found your article. While I’m here, I will share my experience about Amazon affiliate, I started in 2011 and I have a Blogger site with 1 article with 100 words and 1 amazon affiliate link then I forgot about it for 5 years. I login at Amazon affiliate dashboard and I found out I had $72 earnings for 4 months, my account stop earning because I close my Blogger account in 2012. I didn’t know I’m earning until after 5 yrs. That was my very first article and my very first affiliate program. Now, I’m starting another blog with another Amazon affiliate account. I plan to post 2-3 articles per day so I will get more earnings. I hope to make at least $1,000 per month from Amazon. Can I apply for Google AdSense and also media.net with one website account? I was just curious to know when to apply for Adsense?? And BTW why don’t you have adsense on your blog? Can I apply for 2 adsense account with one website? I don’t think so you will be able to do that. You can only have one AdSense account on your name.